“Have you tried writing it down? It allows you to keep a record of insights you gain and progress you make. It can give you the chance to express yourself in a creative way, for example through poetry or story. It may feel safer than talking. If you’ve been through something you don’t feel able to talk about, writing can provide a way to express yourself and may make it easier to talk about in the future. 1. Free intuitive writing – a good way to get started if you’ve never tried therapeutic writing before is to set a timer for 5 mins and write continuously anything that comes into your head. Keep your hand moving and don’t think! Don’t worry about punctuation and grammar and give yourself permission to write absolute rubbish. This exercise is a good way to express yourself freely when you are feeling silenced or frustrated. 2. Lists of 100 – for example 100 things I am angry about, 100 things Iike about myself, 100 things I’d like to change. Keep going up to 100 even if you repeat yourself. Afterwards read through and categorise them, then complete these reflective statements…When I read this I notice….When I read this I feel…As I read this I am aware of…When I read this I am surprised that…As I read this I discover that…This exercise can help you to express an emotion you don’t normally express such as sadness or anger. 3. Gratitude journal – writing down what you are thankful for can help to change your perspective on life. Writing down the positive things in your life, no matter how small can help to counter- balance the negative thinking than many of us are prone to, particularly when depressed. Buy a new special notebook and write in it for a few minutes every day, perhaps at the end of the day when you can look back and remember key moments you are grateful for. They may be as simple as seeing the sunrise or stroking a neighbour’s cat on your way to work. 4. Unsent letters – Write a letter to someone saying what you would really like to say if you didn’t need to censor yourself at all (but don’t send it!!!!) This can really help to resolve unfinished business with a partner who has left or a family member who has died as it gives us a chance to express what we didn’t have a chance to say to them. 5. Mind map or spider diagram – when you have a range of different thoughts and feelings on an issue it can help to map these out on paper so they’re no longer going round and round in your head. This process can help you sift through things and find what is most important. 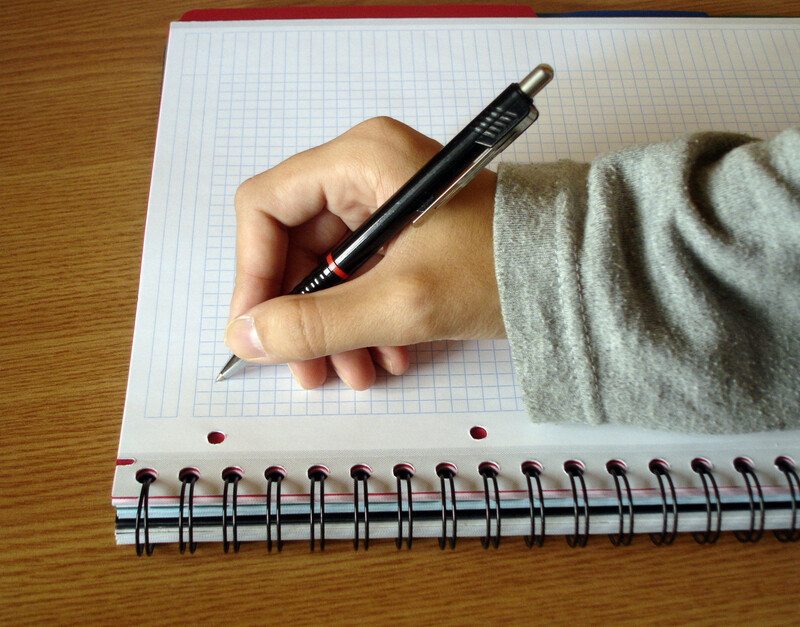 Therapeutic writing is free and simple – all you need is pen, paper, time and space – why not give it a try this week?